British folk-rock band Mumford & Sons strip away their folk-roots in favour of more alternative rock orientated music on their latest studio album release of ‘Wilder Mind’. The new album from the band at the very least demonstrates an attempt to offer up something different from the bands’ previous output, with the result regretfully being a rather basic and simplistic album effort that oddly enough suggests nothing new or interesting from the band. ‘Wilder Mind’ has some admirable notions to itself, though it seems to be a poor attempt on Mumford & Sons’ part to expand their sound, with the result being a bland and uninteresting album experience. Mumford & Sons certainly have strong elements in their music, evident in their popularity in the music scene. On ‘Wilder Mind’, there’s certainly much of Mumford & Sons’ upbeat and faced paced music, mostly discussing themes of love, loss and everything else one would expect from the band. A few of the tracks on the album do suggest some moves being taken in the right direction, with the tracks themselves being largely pleasing musical numbers that feature most of Mumford & Sons’ better qualities, whilst stripping away some of the more dull moments that have so often occurred. Whilst Mumford & Sons’ seem to be straying away from the sound established on their first two albums, it seems the result of experimentation has resulted in absolutely nothing new or interesting. Mumford & Sons’ seem to have opted for a more alternative-rock orientated sound on their latest record, though have failed to draw out anything interesting or worthwhile from the genre, instead going for the easiest option both musically and lyrically. 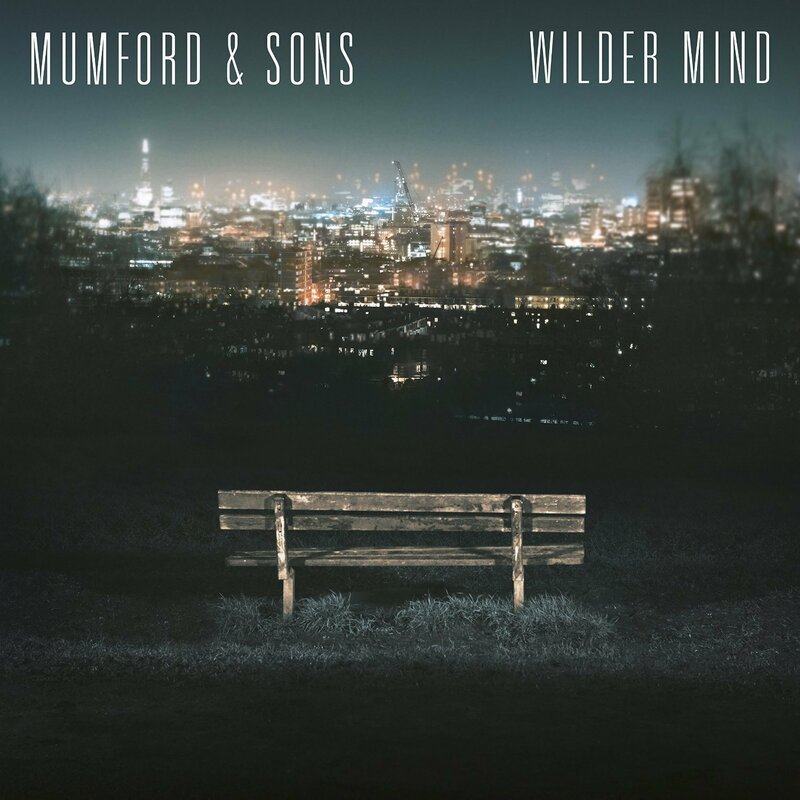 Oddly enough, even with this different sound, ‘Wilder Mind’ itself doesn’t really differ much from its predecessors, with the tracks on the album being formatted and presented in the exact same dynamic order as Mumford & Sons’ have previously done. It seems Mumford & Sons have lost their way on their latest record, pushing out a rather uninspiring and weak album experience. Nothing on the record ever seems to jump out and grab the listener, instead it all seems to just fall back onto cliche after cliche. There doesn’t even seem to be all that much experimentation either, raising the question of why bother changing one’s sound if nothing new or interesting will come of it. Perhaps by this point Mumford & Sons’ don’t even care anymore, as they seem to have gotten to the point where they’re popular enough to release anything and make the money anyway. Mumford & Sons’ latest album ‘Wilder Mind’ is out now. Arcade Fire’s Will Butler offers up his debut solo album effort ‘Policy’. For this debut effort, Butler presents a quintessential indie-rock experience, pushed along by Butler’s own viewpoints presented in his lyrics. There’s a nice effort being pushed out by Butler for his debut album, featuring enjoyable tracks with a certain anthemic quality. Butler’s solo style works well for his first album, allowing him to command the scene with great confidence, presenting an effort that ties in easily with his earlier work in Arcade Fire, though also featuring some new elements that separate the whole experience into something new. ‘Policy’ comes across as a loud and anthemic indie-rock experience, almost traditional in format and tone, though ultimately exciting and raucous in places. Butler utilizes some nice ideas on his solo record, throwing some rather odd ideas into the mix that somehow work, forming the basis of accessible and incredibly enjoyable tracks. Butler’s themes of growing up and the peculiarity of teenage life work nicely as an overarching theme for the album, tie-ing together each of the songs in a cohesive manner. Everything seems to work well on ‘Policy’, with it being an enjoyable and rather strong album experience. Whilst Butler seems to offer up a lot of himself for his debut effort, it seems that there’s a few traits bringing down some level of quality on ‘Policy’. Whilst there’s a sense of enjoyable indie-rock on the album, Butler doesn’t seem to really add all that much to the genre, or arguably even enough of himself, to really make the album stand out with its own respective strengths. Everything works well in its own right, though there’s a sense that Butler could perhaps be doing just that little bit more. On top of everything else is how short ‘Policy’ actually is, which ends up ending just as soon as it starts to get going. There’s a few poor elements here and there, though the overall impact of the album itself is quite nice, and one that showcases Butler’s talents in a nice and enjoyable way. Each song offers up something fun and enjoyable, with there being very few weak tracks on the album, perhaps indicating a strength to the short album run-time. Overall, ‘Policy’ is a rather strong effort, and one that should certainly please fans of Arcade Fire’s output. Butler has some nice ideas he presents on ‘Policy’, many of which he’s managed to push out in a strong and cohesive manner, making his debut effort a strong and easily enjoyable one. Will Butler’s debut solo album ‘Policy’ is out now. Musician William Doyle offers up the follow-up album to his 2014 debut album release ‘Total Strife Forever’ with his sophomore album effort ‘Culture of Volume’. Doyle’s latest album effort sees the musician expanding upon many of the ideas and musical elements first explored on his debut release. A strong electronica element runs throughout the album, anchoring together many of Doyle’s ideas together with some experimental notions, showing the musician as being a little more daring than most in the genre he currently works within. There’s some interesting ideas being presented on ‘Culture of Volume’, which comes across as a much more rounded and stronger effort than its predecessor. ‘Culture of Volume’ for the most part continues much of what began on ‘Total Strife Forever’, offering electronic walls of noise that establish groundwork for Doyle to add in other varying elements. There’s a strong experimental notion running throughout much of the album effort, accompanied by Doyle’s interesting vocal performances, adding a strong edge to his branch of electronic music. Everything feels arguably stronger on his latest album effort, with Doyle working hard to smooth out some of the rough edges. Many of the tracks on the album feel much more strongly planned out and more strongly presented, resulting in a strong and enjoyable album effort. Doyle seems have pushed himself much more on his latest album effort, though despite this there’s still an almost reserved tone at times to the album itself. There’s many strengths to ‘Culture of Volume’, though a few of the musical elements on the album feel a little weak at times, with there not being much exploration of musical techniques, with Doyle instead drawing out his elements for large lengths of time instead. This works well for a few of the tracks, with some of the more enjoyable moments being when Doyle really indulges himself for great passages of time. However, other tracks on the album seem to come across as a little forgettable, with there not really being enough happening to warrant their inclusion on the album itself. Though there’s some weaknesses here and there, ‘Culture of Volume’ comes across as a very strong effort from Doyle, and an album that perhaps surpasses his debut effort. Certain elements of the album are arguably less adventurous, though it’s Doyle’s ability to refine his output that makes the album such an enjoyable effort. Those who were so enamored with the artists’ previous album effort will no doubt find ‘Culture of Volume’ to be a more than satisfactory follow-up, and one that shows the artist as an evolving one whose able to sometimes take a step back from his music, and work out how best to present his own ideas. East India Youth’s latest album ‘Culture of Volume’ is out now. Saxophonist Colin Stetson teams up with his partner Sarah Neufeld for the release of their collaborative album effort ‘Never Were The Way She Was’. Featuring Neufeld on violin and Stetson performing his powerful saxophone melodies recording without overdubs, the new album release showcases the incredible talent from these two Canadian musicians, coming across as one of the most essential releases both artists have released thus far in their extensive careers. Powerful blasts of saxophone layers like the breathing of an engine accompany the haunting notes of violin, resulting in some of the most creative music ever recorded by two individuals. ‘Never Were The Way She Was’ sees the incredible power of Neufeld and Stetson being combined in incredible ways, resulting in a musical experience that neither artist could achieve on their own. Incredibly powerful multiple layers of saxophone accompany haunting yet beautiful violin performances, resulting in a powerful listening experience that is both impossible to ignore or forget. Much of the album comes across as dark and foreboding, utilizing the deep notes of saxophones and the high-pitched notes of violins to create a symbiotic musical experience, where everything stands out amongst itself, whilst harmonizing with each other perfectly. Like both Stetson and Neufeld’s solo album releases, ‘Never Were The Way She Was’ features a very experimental edge, and one that brings with it an almost inaccessible quality to the album. The music featured on the album can at times feel like rather challenging work to listen to, though one that ultimately gives those open to the experimental edge a wonderful listening experience. The underlying concept of both Stetson and Neufeld’s methods in compositon might also be a bit difficult to get one’s head around, though it results in some of the most powerful and impressive experimental music. ‘Never Were The Way She Was’ features many elements one might expect from either Neufeld or Stetson, though it hardly makes the whole album experience any less impressive. Both artists have pushed out their own respective talents to great lengths on their debut collaborative album, one that features the best of each artists own branch of music. Although much of the album feels rather dark for the most part, there’s also a wonderful beauty to much of the music, mostly in how Stetson and Neufeld combine their instruments and their own voices in unusual yet harmonious ways. This is certainly a powerful album, and one is certainly required listening for the fans. Colin Stetson & Sarah Neufeld’s collaborative album ‘Never Were The Way She Was’ is out now. 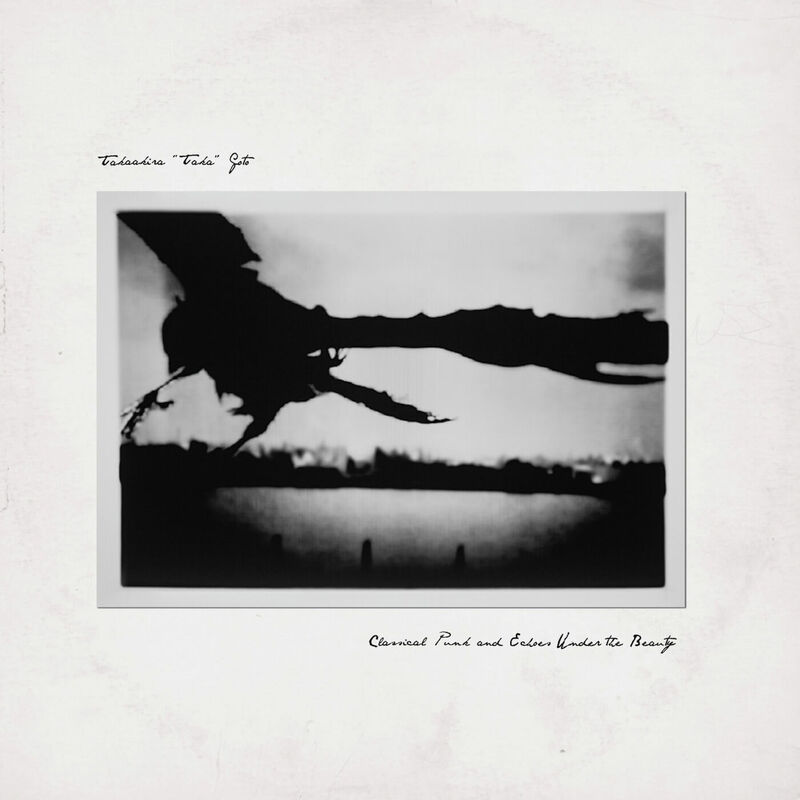 Japanese guitarist and composer Takaakira ‘Taka’ Goto of the post-rock group Mono offers up his debut solo album endeavor, titled ‘Classical Punk And Echoes Under The Beauty’. The new album sees Goto indulging an interesting and rather different style of instrumental music than what we’re already familiar with through his work with Mono. ‘Classical Punk And Echoes Under The Beauty’ offers an interesting album experience, where orchestral elements see themselves being combined with traditional instrumental rock formats to create a vibrant and immersive album experience. Goto presents a strong and impressive album experience, one that sees the musician exploring different areas that showcase a great amount of creative talent. Goto presents a very confident and assured album experience on his first solo album, one that sees the musician and composer tapping into different areas of music, combining his already existing talent and ideas with new techniques to create something different and exciting. A dark energy runs throughout most of the album, creating a sense of uncertainty and mystery that envelopes the listener through shrouds of instrumental music. There’s almost an experimental edge to much of what Goto pushes out on his solo album, with it being a much different album experience to what one might expect from the artist, though also one that offers a great and clearly creative album experience. There’s many enjoyable elements to ‘Classical Punk And Echoes Under The Beauty’, which sees Mono’s Takaakira ‘Taka’ Goto delving into other areas of instrumental music, and pushing out a very cohesive and strong album experience. At times, it perhaps feels as though many of the tracks present on the album all follow similar song structures and similar musical techniques, adding an almost repetitive quality to a few of the songs, bringing down the overall impact of the album to some extent. There’s many enjoyable elements present on the album itself, though it seems Goto perhaps fails to draw out enough in every single track on the album. Though not every track on the album will amaze listeners, there’s a wonderful coherency and concept being presented by Goto, all of which corresponds into an incredibly interesting and strong album experience. ‘Classical Punk And Echoes Under The Beauty’ is in some ways a quintessential instrumental rock album experience, though it’s in Goto’s ability to draw out creative ideas and concepts, and present them in a wonderful and strong way that makes the album one worth listening to. Fans of Mono might perhaps find elements of Goto’s solo album a little difficult to deal with at times, though it features much of the same creative passion that makes all their material so great. Takaakira ‘Taka’ Goto’s solo album ‘Classical Punk And Echoes Under The Beauty’ is out now. Porcupine Tree drummer Gavin Harrison offers up an interesting album experience with his solo endeavor ‘Cheating The Polygraph’. Combining a team of talented performers alongside a track-list comprising an interesting range of Porcupine Tree songs, spanning most of their discography, Harrison offers up a ‘big band’ album experience, one that sees new ideas and techniques being drawn out of progressive rock songs in a much different format. There’s a lot of merit to ‘Cheating The Polygraph’, which is certainly a big and grand album experience, though one wonders with all the effort Harrison has gone to push out an album of this caliber, who is at all really for? ‘Cheating The Polygraph’ feels like a rather grand album experience, utilizing the talents of a very tight sounding big band to present a range of Porcupine Tree material in a very different context. There’s an interesting selection of tracks reinvented on the album, some of which see Harrison combining various tracks together to create a much more different experience. Everything feels incredibly seamless and almost effortless, all combining in a very comfortable way, showcasing such a great understanding of the original source material and how new and different ideas can be drawn out if it. Whilst there’s enjoyable elements to ‘Cheating The Polygraph’, there’s a sense that much of the album experience is simply an indulgent effort purely for Harrison himself, as opposed to something for absolutely everyone. Everything sounds incredibly tight and well presented, but there seems to be very little happening to really retain the attention of the listener, except for interest in hearing the reinvention in comparison to their original counterparts. There’s almost a dull quality to much of the tracks as they simply offer amusement in reinvention, rather than creating something that stands on equal ground to the original versions of the tracks. Harrison’s very grand and large-scale album ‘Cheating The Polygraph’ certainly offers something that’s interesting for the most part, and very tight-sounding, though there’s something that seems to be missing under the surface of all the big band instrumentals. Everything sounds incredibly professional, very well crafted and envisioned, with there being a wonderful and impressive tightness to the band, who all present Harrison’s reworkings confidently and effortlessly, but there seems to be a lack of any driving force that manages to retain much of the listener’s interest. Gavin Harrison’s new album ‘Cheating The Polygraph’ is out now. Alt-rockers Django Django offer their follow-up to the incredibly engrossing 2012 debut self-titled album, with their sophomore album release of ‘Born Under Saturn’. The new album sees the band expanding their musical palette somewhat, turning down the dials to offer a more subtle yet still interesting album experience. There’s certainly many points of interest on ‘Born Under Saturn’, which sees the band giving some care and consideration into their output, and making attempts to release an album effort that isn’t a rehashing of their original album. Whilst elements of the album work nicely to some degree, it does seem certain points bring down the overall impact, resulting in a somewhat lackluster album experience. Django Django latest album effort certainly expands somewhat on the original album’s elements, showing the band evolving their sound without sacrificing too many elements. ‘Born Under Saturn’ demonstrates great production value, where the band have put a lot of consideration into the final result of the album itself. Strong psychedelic themes run throughout the album, both musically and lyrically, cementing together the core of what makes Django Django so fun and exciting to listen too. Certain elements, notably Vincent Neff’s vocal performances, even feel stronger than that of the bands’ debut effort, making ‘Born Under Saturn’ an enjoyable album experience that certainly offers enough of itself to make it an interesting album experience. There’s certainly some deserved admiration for Django Django on their latest album effort, which certainly works for not being a simple repeat of the bands’ earlier successes. Whilst this is highly admirable though, it seems the band have lost a few of their incredibly enjoyable and engrossing elements that made their debut album so wonderful. ‘Born Under Saturn’ feels mostly lackluster, meandering around quieter riffs and elements without ever reaching the dizzying psychedelic heights that one might have expected from the band. It’s a fun album in its own right, but arguably less enjoyable and intense for listeners. 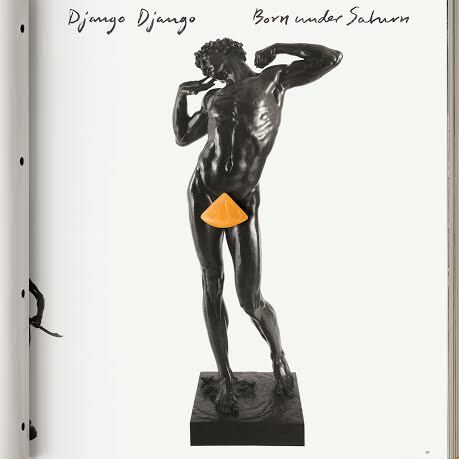 ‘Born Under Saturn’ is certainly a fun album in some ways, though it doesn’t seem to demonstrate the absolute best qualities of Django Django as a band. The production of the album is certainly a point of merit, with the band offering some nice ideas in terms of their song-writing output, but nothing ever seems to really hit home at any point. It’s almost as though Django Django have decided to hold everything back for their sophomore album effort, and in doing so have actually fallen back on themselves more than they need to do so. Whilst ‘Born Under Saturn’ is not a album that should be dismissed, it might be disappointing to those expecting the same level of intensity as offered on their debut effort. Django Django’s latest album ‘Born Under Saturn’ is out now. Brit-pop band Blur set the scene for their new studio album release of ‘The Magic Whip’, released 12 years after the 2003 album effort of ‘Think Tank’. The new album sees the band almost picking up things where they left it off, showcasing once again a quintessential British pop-rock album experience. There’s a few delightful and enjoyable elements to ‘The Magic Whip’, which seems to suggest that the band haven’t lost the spark that helped establish them into the music scene. Many tracks on the album feel like callbacks to the bands’ earlier works, whilst also incorporating new and modern ideas from the bands’ various experiences. Blur’s ‘The Magic Whip’ sees the band indulging once again in brit-pop sensibilities. The heavily accented vocal performances of Damon Albarn take the foreground, backed up by the rest of the band, who all seem to meld together with effortless ease after such a long hiatus. It’s certainly enjoyable and fun to hear the band settling back into the swing of things, pushing out music that is both incredibly familiar to fans, whilst also drawing on a few interesting ideas. All in all, it’s very much a brit-pop album, though it’s not constantly dominated by the one particular genre. ‘The Magic Whip’ is certainly an enjoyable album on some levels, though certain songs and sections of the album seem to just be typical Blur material, without there being much of a hook to really grab the listener in. There’s certainly enjoyable songs on the album, but the album itself doesn’t seem to present itself as one of the stronger Blur albums, and instead seems to just fall back on itself, not doing much to really inspire and astound the listener’s themselves. Whilst some tracks on the album offer up something interesting and on some levels, exciting, it seems that the album itself is simply lacking a few qualities that would really make it all excel. Blur have certainly managed to push out some enjoyable tracks on their latest album, though the whole album effort of ‘The Magic Whip’ seems to just falter one too many times to position itself amongst the strongest of Blur albums. Few tracks ever seem to really jump out at the listener, cementing their position with memorable moments and motifs, and instead just come across as filler material for the most part. There are some strong tracks being featured on the album, and the whole album itself is far from a failure for the band. It seems though that not enough has been done to really make it all that noteworthy. 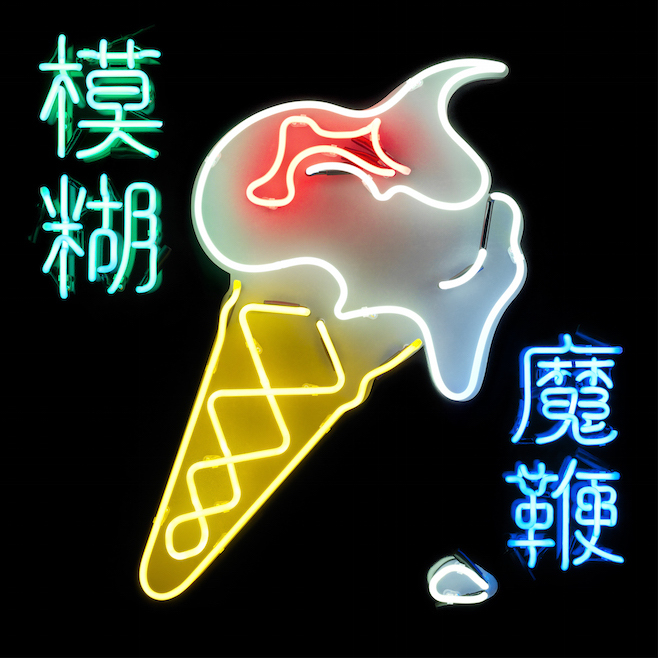 Blur’s latest studio album ‘The Magic Whip’ is out now.